Bengaluru: The Karnataka Medical Council (KMC) has acquitted two doctors from the allegations of negligence in providing information regarding a foetal deformity to a couple who had conceived a baby through Intra-Vitro Fertilisation (IVF). TOI reports about the case which concerns a couple who had conceived the baby through IVF and gave birth to a boy on 9th October 2014 at a private hospital near Nagarabhavi. The child did not have an eyeball on the left orbit and an underdeveloped one on the right with improper vision. When ophthalmologists were consulted, the couple was informed that there was no treatment to this deformity. On 25th October 2014, the state medical council was approached by the parents to file a complaint against IVF specialist Dr Madhuri Patil, Head of Patil Fertility and Endoscopic Centre, and foetal medicine expert from Medha Ultrasound and Scanning Centre, Dr Preethi Venkatesh. The couple accused them that they did not inform about the eye deformity of the foetus. 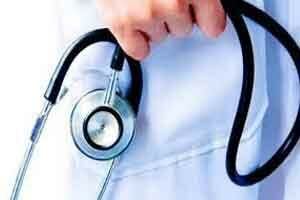 The Karnataka Medical Council went through the entire matter and sought a reply from both the parties. During the hearing, Dr Patil provided the reference to the study conducted on the pattern of childhood blindness in the state, which highlighted the hereditary factors because of high rates of consanguineous marriages are one of the main cause of microphthalmia, a congenital anomaly that occurs due to certain gene mutation. Dr Venkatesh, who conducted an Ultrasound on the patient, informed that there are several genetic conditions where retrogressive changes occur in previously ‘normal’ appearing organs. She stated, “On ultrasound we can see the eyes. If the eyes are normal in appearance and size, we assume they are normal. There is no way to ascertain normal vision. Ultrasound only shows structure and not function. The defect was not seen in the fifth-month scanning. Images of the scan prove the same.” She added that the ultrasound images showed the organs were seen to be growing normally. The left eyeball may have shrunk and later failed to develop eyesight. The Council observed that during the legal proceedings before the State Medical Council, the complainants failed to submit any expert opinion though sufficient time was granted. The Karnataka Medical Council after going through the entire case absolved the two doctors of medical negligence, stating that ultrasound scanning only shows structural development and not functionality, quotes the TOI. We all need to understand the limitations of every modality in patient management. Medical field is not black and white and there are grey areas in medicine which we all need to acknowledge. there is no mention here if this particular case ( marriage) was consanguineous ? This is a very unfortunate case where no body can be held responsible.